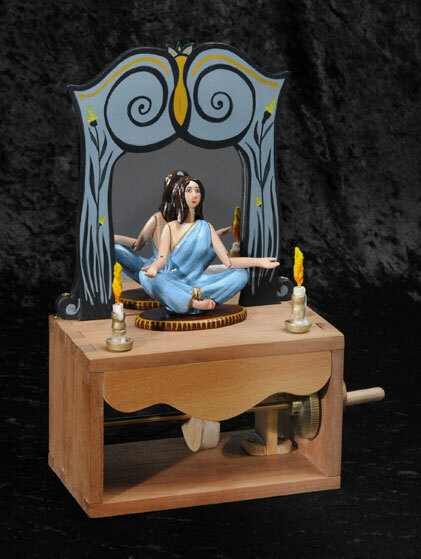 The latest in the series of Magic Automata from French Artist, Pierre Mayer. This automaton differs from the previous one: the Fechner’s levitation. It uses a completely different principle, no magnets this time. 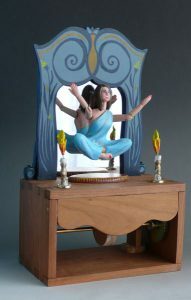 Laetitia floats in the air when you turn the handle and the arms raise. A mirror at her back shows there is nothing to hide and creates a perfect illusion for this levitation. Also the flames from the candles twirl and move up. 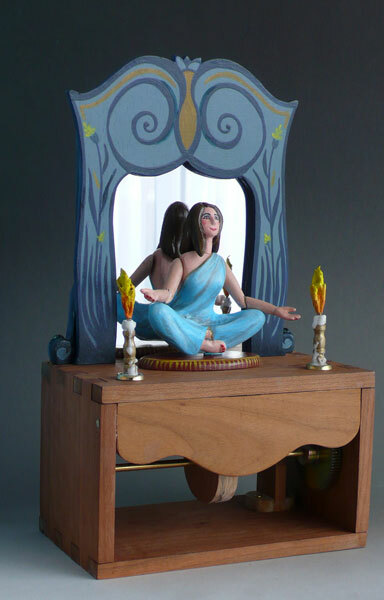 The piece was inspired by Richard Garriott’s wife, at their wedding in Paris last year.